Bergen Community College has an opportunity for a Mentoring Coordinator. This grant-funded position will work under the direction of the Managing Director of the Office of Specialized Services and will assume an administrative, planning and supervisory role to provide ongoing training, administrative oversight and support for the peer mentoring staff of the Turning Point program. Responsibilities will include but are not limited to providing counseling to students with intellectual disabilities regarding personal issues; coordinating all advising and academic services; establishing a system to assess students’ academic progress towards program completion; tracking, monitoring and following up with all students under assigned cohorts and developing a system to document retention and attrition statistics; compiling and analyzing demographic data of students; documenting case notes and maintaining records; hiring and monitoring program mentors, creating reports and compiling information to evaluate and adjust program as needed; planning, organizing and coordinating activities, teaching problem solving strategies and self-advocacy skills; developing and implementing program policy and procedures for recruitment, training and matching mentors and mentees; planning, organizing and coordinating activities, trainings and workshops for program initiatives; serving as a resource to faculty and staff on issues pertaining to supporting students and functioning as a liaison to community based resources; compiling information to evaluate and adjust program as needed; maintaining records; responding to crisis intervention and assessment as needed and additional duties as assigned. Required: Master’s degree in Counseling, Social Work, Psychology or a related field and hold appropriate NJ license (LPC/LCSW). Two years’ experience working with individuals in a secondary or post-secondary setting is required. Previous experience working with adolescents/young adults with intellectual disabilities required. Crisis intervention experience is preferred. Familiarity with transitional challenges for young adults with intellectual disabilities (ID) preferred. Must have knowledge of state and federal laws and statues relating to the rights of individuals with disabilities with specific attention to Section 504 of the Rehabilitation Act and the Americans with Disabilities Act. Must be proficient with Microsoft Office programs and possess excellent interpersonal, customer service, oral and written communication skills. Candidate must be detail oriented and possess excellent organizational skills. Must be punctual, reliable and flexible with the ability to multitask. Must have sound judgment capability and ability to make routine decisions. Must be a team player, as well as, able to work independently and ability to work respectfully with a diverse student and employee population. Ability to work some evenings as needed. All interested candidates should send letter of intent (including the job code G-MENTOR in the subject line) resume, transcripts, salary requirements, and three professional references with current contact information. To ensure full consideration, all requested application materials must be received by August 18, 2017. 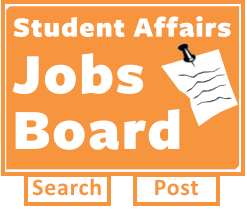 Send materials by email with the appropriate job code in the subject line to employment@bergen.edu.